Calling all Moonflowers! 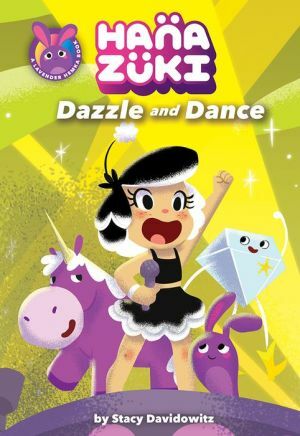 When Hanazuki and her friends hear about a talent competition on Celebrity Moon, they all want to win the grand prize. Each Moonflower pulls together a team to show off their best talents, and they practice, practice, practice! But Hanazuki’s team is cracking under the pressure. With a little help from Lavender Hemka, she’s going to show them that all they need is a little inspiration! Then Team Hanazuki will be ready to take on Celebrity Moon and the whole galaxy.